Principles and equipment used while working at height including ladders safety, harness awareness and fall arrest systems. This one-day course introduces the principles and equipment involved in working at height and, through a combination of classroom and practical demonstrations, the process of a safe and systematic approach to working at height operations. This course will benefit all personnel that conduct operations that involve working at height. All delegates will participate in practical exercises involving pre & post-use inspection and the safe use of a variety of working at height equipment. 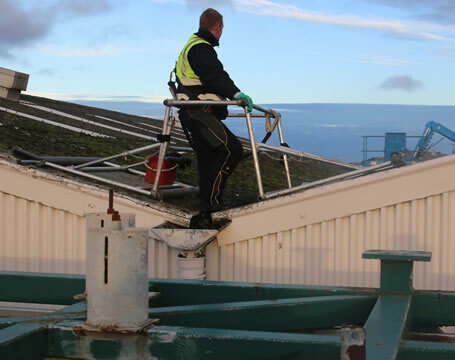 The course involves climbing ladders and using working at height equipment, therefore delegates should be physically fit to carry out the practical exercises.